The first thing i need to mention about this book is that there is self harm, not by the main character but it is by someone close to her. I was trying to not get attached to the characters but the more I read(well listened) the more I became attached to the characters. I was intrigued as to why Nadia could remember but nobody else could. As the story goes on we find out that Canaan is actually not on Earth but on an entirely different planet. We find out that the people on the planet were supposed to be colonizing the it so that they could see if life was sustainable there. the farther in the story you get the more you find out about why Canaan is the way it is and who the original settlers were and why Grey is so important to Nadia. Overall after you get to the second half of the book it is fantastic. It improves ten fold which is nice. The story becomes much more fast paced and everything ties in. The person who does the voice for the characters does a great job at narrating each character and does them each justice. Are you as excited about the release of Sarah Dessen’s newest young adult novel, Once and For All (out June 6, 2017) as I am?! We teamed up with Penguin Teen to celebrate the release by counting down the weeks with reviews of her previous novels. Check out the description of Once and For All, and then our review of The Truth About Forever. Stick around until the end of the post, you can enter to win a full set of Dessen’s catalog in paperback! In The Truth About Forever, when asked how she is coping with her father’s death, invariably seventeen year old Macy Queen’s answer is “fine,” when nothing could be further from the truth. In actuality, she is drowning in grief while maintaining a flawless façade of good grades and unblemished behavior. Though she feels lost when her boyfriend heads to “Brain Camp” for the summer, she finds herself a job with the quirky Wish Catering crew, and meets “sa-woon”-worthy Wes, whose chaotic lifestyle is in direct opposition to her own. As the two share their stories over the summer, Macy realizes she can no longer keep her feelings on ice. Though it feels like her future ended with her dad’s death, Macy’s learns that forever is all about beginnings. I sit here, after finishing The Truth About Forever for about the 20th time, and I am crying. 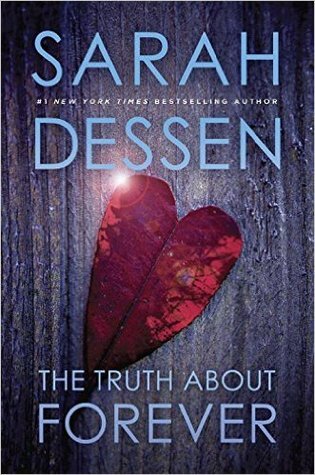 This book isn’t just important to me because of how long I’ve been a Dessen fan, but because I grew up with a lot of death in my life. Yes, that doesn’t sound ideal or even something that you’d want to hear about, but it’s true. I’d been to more funerals in the first 12 years of my life than I would go to in the next 12. So this book spoke to me in so many ways. Another aspect that was important to me was the accurate representation of disease like breast cancer (my mother is a survivor) and heart disease (two of my grandparents passed away from heart attack’s like Macy’s father). So obviously, so many ways I connect to this novel that have nothing to do with the love story, which, in my opinion is much more of a third tier narrative compared to that of Macy’s healing and her growth as someone who was no longer defined by her grief. Sure, I love a good romance like the next person, but I think I fell in love with the friendship that Macy and Wes developed before anything romantic happened. Honestly, I think this type of relationship development is so much more rewarding than immediate physical intimacy. Not saying that I don’t enjoy physical intimacy (I now feel like I need to apologize to my mother), but the friendship foundation has always made any relationship worthwhile for me. I am working on a piece that explains how much Sarah Dessen’s writing has meant to me, and how her books have always provided a light in the darkness any time I needed it. I find picking up her books, even if I’ve read them more than twenty times, to be so fulfilling and beautiful. I will always give this story, one of my heart (hand in heart, anyone?! ), 5 Bards. This book kind of felt like coming home. If coming home involves a typical love story between the woman with a secretly powerful ability and a quick wit and sarcastic nature who is forced to spend time with a caustic and aloof man who also has a powerful ability and a secret past. But think about it, for those of us who have been reading young adult for years will recognize this trope and the stereotypical nature of it. Of course there is a girl who has a power like no other, and of course there is a guy who is her polar opposite (in the case of Frostblood, literally), but they have an undeniable connection. I will say, I do love a good love story where the love interests start off hating one another and growing to love one another. That slow burn gets me every time. So, all of the above did not mean that this book was bad. Yes, it followed a lot of clichés and the story at its bare bones is not wholly original, BUT I thoroughly enjoyed reading this. I’ve been in a bit of a reading slump and have been distracting myself with television, but sitting down and starting this…I read it all in one sitting. It was fast-paced, which left little to be desired in the way of true character development, but the action was decent! The world building needed a bit more expansion, in my opinion, mostly because there was just information on superstition and their religion, rather than anything serious. I think the thing that did stick out to me was the amount of familial relationships that were explored in this novel. Not just with Ruby and her mother, but with Arcus and Brother Thistle, the monks as a whole, Arcus and his brother, even the very secondary character of the small girl and her family of refugees traveling the countryside; that was my favorite part of this narrative. The basics of the narrative kind of reflects a bit of a Marxist dichotomy between the bourgeois (the Frostbloods) and the proletariat (the Firebloods), except with even more murder and prejudice. 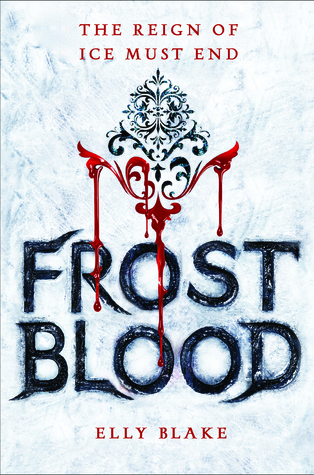 Overall, I found Frostblood to be a pretty average read. I didn’t absolutely adore it but I liked it just fine. It’s definitely a story I think I’d actually keep up with, though. 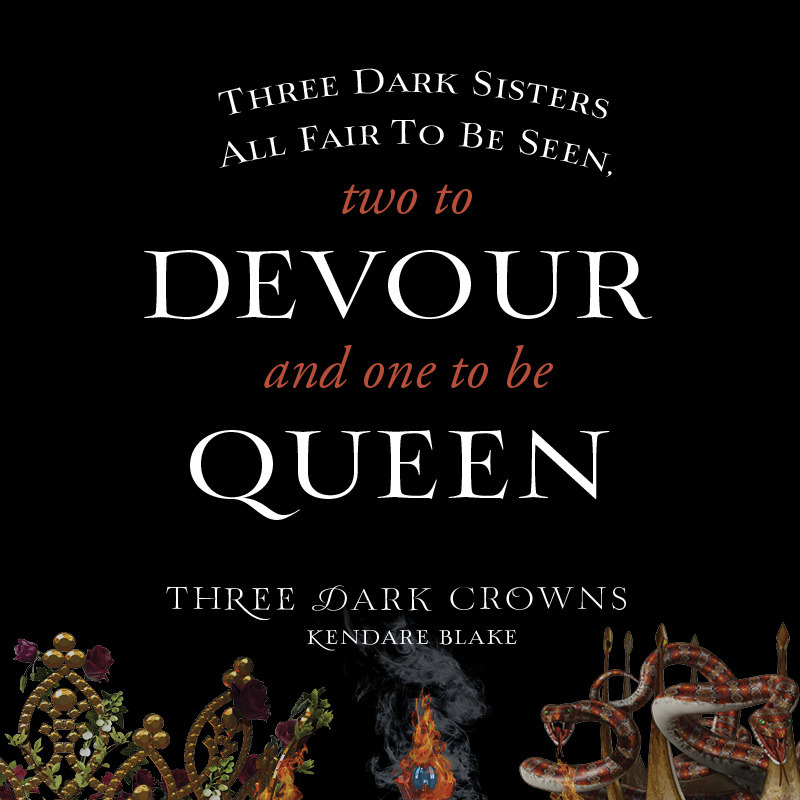 I think one of the best things about the movement in young adult literature to include diverse authors and own voice narratives is that stories like Tiffany D. Jackson’s will become popular. This novel has all the things that make a good crime novel wonderful, it has a likable yet maybe untrustworthy narrator, a vicious and questionable crime, interesting family dynamics, insight into the criminal justice system when it comes to teenagers, and the dynamics of a group home. Now, I realize that this is still a fictional narrative but there are a lot of similarities between this Mary’s story and that of the real life child murderer, Mary Bell. Jackson doesn’t really delve into that in this novel, but she does have a secondary refer to Mary as Mary Bell in one interaction, so I thought it would be interesting to point out the similarities between the character and her real counterpart. Mary Bell was around 10 years of age when she murdered two toddlers, she had a known strange relationship with her mother (who attempted to kill her a few times), it was an extremely sensationalized case, with her only receiving a minimum sentence since she was a child with diminished responsibility (much like our character). Another part that is taken directly from reality is the last name of the victim, Richardson. Now, the average Young Adult reader probably wouldn’t be aware of these similarities, but I just happened to read a true crime book a few years ago that brought this up. I applaud Jackson for bringing a story like this to the forefront, because as awful as it is to kill a child in a narrative, it is something that happens. Jackson did such a great job of keeping the reader in the dark about certain aspects of the crime and of Mary’s life prior to the death of the child. I think that the questions about Mary and her Mother really provide more mystery than the death itself. It’s an interesting commentary on emotional abuse and the desperate relationship between these two characters, plus is raises the question of just how far you’d go for family. In addition, Jackson was amazing at including linguistic representation of accents. I find it lacking when an author sometimes just mentions that a character has a type of regional accent without showing this to the reader in dialogue. Bravo for including this, I loved it and it really put me IN those characters’ voices. I’m giving this novel 4 Bards. There is a very upsetting scene with an animal in this and violence between characters that doesn’t involve the murder of the child, so please be aware of this when purchasing it for your teen. As much as I love Phantom of the Opera, I wouldn’t 100% classify myself as a Pham, but I do enjoy the musical and the original novel by Gaston LeRoux. Yeah, yeah, I was one of those obnoxious kids who absolutely had to read the original novel before ever seeing the play or the movie (the book is amazeballs, guys). ANYWHO, anyone who has followed Midsummer for a while will know that I’m a giant fan of A.G. Howard’s Splintered series and *cough* MORPHEUS, so when it was announced that she was doing a modern retelling of Phantom I got pretty psyched. Now, I’d probably steer away from calling it a retelling after reading it all the way through, it’s more of a modern continuation of the story. Erik (yes, that is the phantom’s name from the original novel) is STILL haunting the opera house, albeit he is pretty old and a bit creepier in a whole new way thanks to Howard’s take…I refuse to spoil this for you. It’s pretty brilliant. So, I will admit to you that the novel does start off a bit slow as it seemed that the pacing just wasn’t 100% there at the beginning. We immediately see our new Christine (Rune) arriving to her new boarding school, which we all know means some shenanigans will happen when the parents are gone! Rune has some pretty deep mental scars, I mean her grandmother tried to drown her and set her house on fire, but music has always helped her get through. She has a strange compulsion to sing upon hearing certain songs, and it honestly sounds like she is capable of hypnotizing those around her while she is singing (that’s important). Low and behold, she finds the phantom haunting her….except her phantom is Thorn. He’s crush worthy and described as absolutely beautiful. I immediately imagined Dominic Sherwood, but I think he will always be in my fan cast for Wintersong. Either way, their fates are clearly intertwined, and sometimes I absolutely love the fated couples trope, while other times I find it ridiculously cliche…but this one was one I was absolutely here for. Rune x Thorne…Rorne. RORNE STAN. 4.5 Bards for my love, A.G. Howard. Holy Hell in a hand-basket. Stephanie Garber has created a world that I don’t want to leave, and characters I want to follow throughout their life stories. I started this book on 9PM on a Sunday night, after I’d been sick for a week and sleeping as much as possible to get over it. Once I started, I couldn’t put it down. I found myself saying, “One more chapter,” okay, “Now, one more chapter,” over and over again until it was 1AM and I closed the book with a sigh. This doesn’t include the extra 30 minutes I sat there considering the ending and the complications that came along with it. I think in reality I maybe got 5 hours of sleep this night, but what is important is that I LOVED this book. This world was created in such an organic way that nothing in the plot seemed like it was out of place or sudden. Not only was Caraval such a richly developed story but the description of the characters and the locales within the novel were exquisite. I wish I could have seen the canopy bed in Scarlett’s room, had a sip of that crisp cider that enhances vision, or even run my hands over the gowns in the store where she sells two days of her life. While I was totally proved wrong about who I assumed Julian was from the beginning (*shakes fist* tricky Garber, tricky!) he was a great example of a male character who comes off as such a…how to I put it…douchebag that really turns out to be a character with so many more layers than initially shown. In fact, he was the saving grace for Scarlett (and the narrative) in many spots. Now, as someone who has had a struggle with her relationship with her sister (we are doing so much better as we’ve aged, by the way *Love you, Ginger! *), I think that for me what really made this story so impactful was the demonstration of absolute love and devotion between the two siblings. Obviously it seems very one sided at the beginning as it is third person limited point of view, but the reader discovers it is a very equal love and something that both sisters suffered for. All I can think of as I remember my mind blowing and wonderful late night read is that this is a story that I will come back to and re-read many times. Plus, who wouldn’t want to lose themselves in a fantasy world with Scarlett, Julian, and Tella? 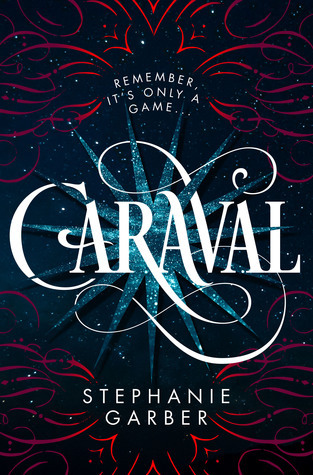 Pre-order a copy of Caraval now, I promise you won’t regret it.